Latin for 'bearing flowers on the stem'. Cynometra cauliflora var. elongatis Hassk. Cynometra cauliflora var. subsessilis Hassk. Small tree, flowering on the stem, leaving hard knots on the stem. Stipules present, but dropped early and leaving almost no scar. 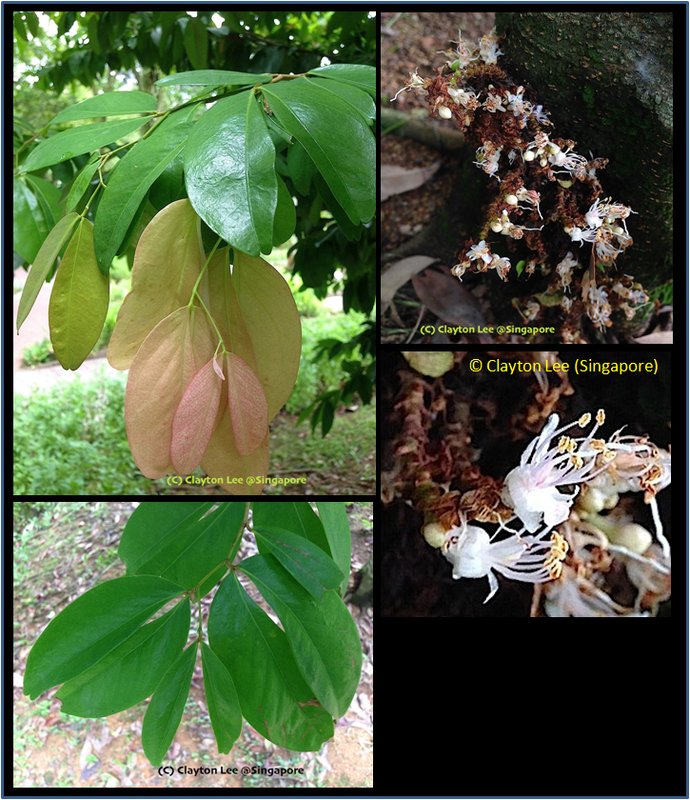 Leaves alternate, with two assymeric leaflets, leaves flushing pink-purplish, Inflorescenses small and on the tree trunk on hard knots. Flowers white-pinkish. Fruits large, kidney shaped, green-yellow, warty. Cultivated in places at low altitude and also in gardens. Native to Sulawesi and the Moluccas, but currently cultivated throughout tropical Asia. Fruits can be eaten raw, but are better stewed with sugar. They are also used as seasoned additions to food or pickled. Indonesia: Kopi anjing, Namo-Namo, Namu-Namu, Puki.